The Global Dairy Update keeps our Farmer Shareholders, investors and stakeholders informed about the Co-operative. It provides a review of key business developments and information on Fonterra's activities around the world. You can sign up to the investor relations distribution list and receive market announcements and the Global Dairy Update when they are available. Production growth in New Zealand and the US is easing. EU growth and Australia production is declining. New Zealand exports increased in January. Exports from Australia and the EU continue to grow. US exports begin to ease. Imports into Asia and China show strong growth. Latin America increased but the Middle East and Africa region is declining. 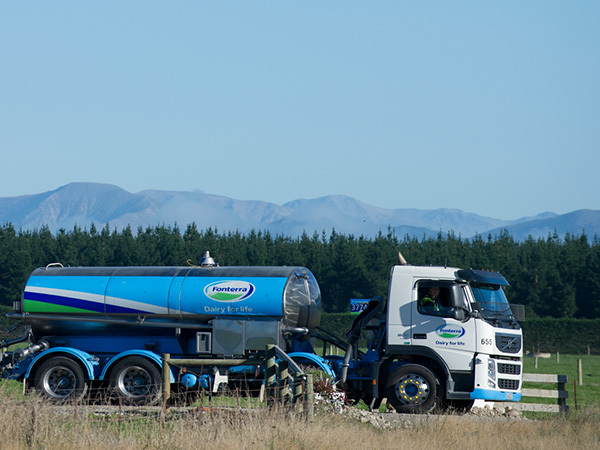 Fonterra has updated its forecast milk collection for the full season to 1,510 million kgMS, slightly above last season’s collections of 1,505 million kgMS, following a prolonged period of dry weather particularly in the North Island and upper South Island. Forecast Farmgate Milk Price range $6.30‑$6.60 per kgMS. Returned to profitability in the first half of FY19 with a reported Net Profit After Tax (NPAT) of $80 million but normalised EBIT of $323 million, down 29%. Full year earnings guidance revised to 15-25 cents per share in February. No interim dividend. Significant progress made on three-point plan.